La Phytothèque— PHYTO Pros: Janet St. Paul on her love for PHYTO and the new packaging! If you think stylists just randomly select haircare products to use with their clients, you’re wrong. A good stylist studies the labels, researches the brand and essentially makes decisions as they are personally using the products on their own hair. As they should, right? We have mad love for the stylists who believe in PHYTO and are proud of the following we have amassed over the last five decades. Janet St. Paul is one of those good stylists. She’s been in our corner for a long time and we are totally in hers. She has an extensive career spanning almost three decades and has had celebrities in her chair that would make any fan swoon. Martha Stewart, Dianne Sawyer and others have entrusted St Paul with their tresses and St. Paul has in turn trusted the botanical power of PHYTO. But rather than tell you about it like a bystander retelling a story, we want you to hear it straight from the source. We recently sat down with St. Paul to ask her about her love for PHYTO products and why she uses them in her Austin, TX salon. 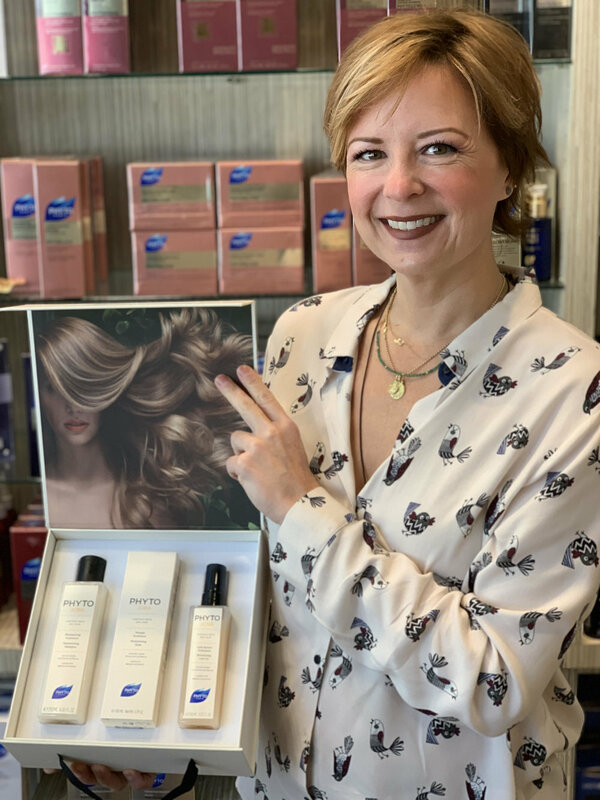 She shared so much great information, including her favorite PHYTO formulas and what hair trends she’s loving for 2019! Q: In your opinion, how’s PHYTO different from the other brands? How did you fall in love with the brand? The strongest point of difference is the high-performance product that is completely botanically based. I also admire PHYTO’s philosophy and mission: science and technology balancing the scalp as well as making the hair healthy. And finally, no water in the shampoo which makes the products incredibly concentrated! Q: What are the 5 PHYTO products you can’t live without? PHYTOELIXIR Oil: for nourishment and repair; it helps to turn damaged hair around very quickly. PHYTOVOLUME Shampoo and PHYTOBAUME Volume used together! HUILE SOYEUSE: provides incredible hydration and leave-in treatment. And my two favorite styling products - PHYTODÉFRISANT for a perfect blow-dry layered with PHYTOVOLUME Actif Spray at the root for hair that moves and swings at the root. Q: What are your thoughts on the new packaging and products? I love the new packaging because of its easy of use with the shampoo flip open top I also love the extra amount of product included with the new packaging ! Q: What’s your approach to clients dealing with hair thinning concerns? Q: What are some of your client’s favorite PHYTO products? Q: Finally, what are some of your favorite hair trends for 2019?